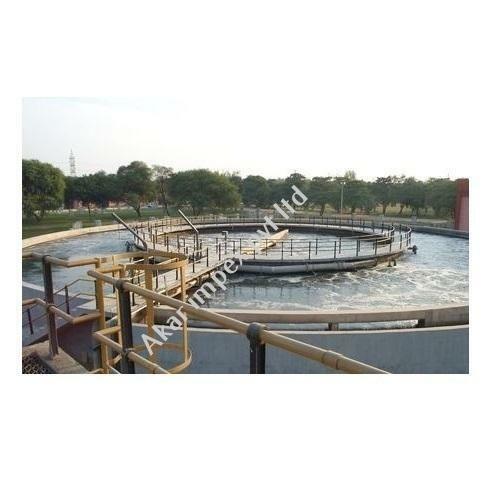 We are counted among the distinguished organisations, involved in manufacturing and supplying Sludge Treatment Plants. 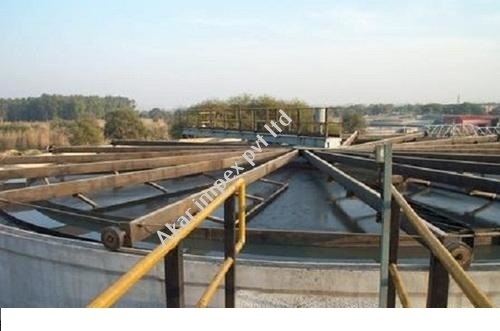 These Treatment Plants are used to provide an effective method to gravity concentrate and decant waste sludge. Offered product works on an aerobic system, which by means of bacterial process concentrates sludge by reducing volume of sludge. These are basically used used for thickening industrial or biological sludge's prior to advanced deteriorating processes. All these systems can be constructed on a concrete base with numerous inlet & configurations and also can be free standing. Customers can avail all these systems in custom-built range and at feasible market prices. We offer vertical shaft surface aerators that provide mechanical means of oxygen transfer to sewage or industrial effluent for treatment. These mechanical surface aerators and floating surface aerators provide the user advantage of durable construction, flexible design and maximum efficiency for wastewater treatment. Any degree of automation can be provided, including individual setting for aeration intensity. Our surface aerators can be installed in any configuration within aeration lanes thereby offering a broad range of treatment capabilities from small communities to major installations. Speed:- 30 to 60 R.P.M. With an objective to offer pristine assortment of waste water plants, we are engaged in offering Textile Wastewater Effluent Treatment. These waste water treatment plants are widely used in textile industries, in order to fulfill the requirement for a packaged unit for treatment of waste water. 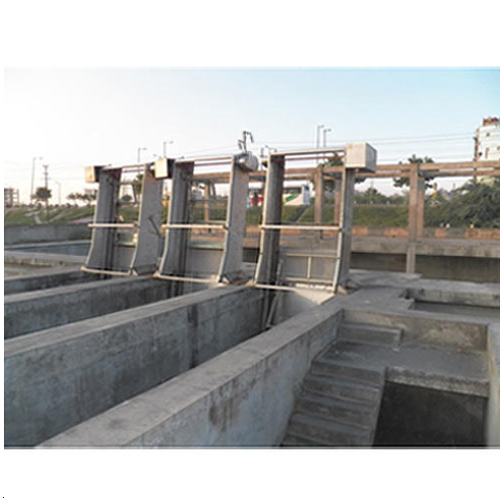 These treatment plants are acknowledged for their excellent performance, dimensional accuracy, easy installation use and longer functional life. Innovation is our forte and we strive to develop and design a comprehensive range of Diffused Aeration Systems. These products are widely used for treatment of waste water and are equipped with blowers and all in-basin aeration equipment. At a fixed pressure, air is injected into the effluent water, so that water receives the desired quantity of oxygen to maintain a given level of Mixed Suspended Solids (MLSS). Customers can also avail these products in custom-built range and at reasonable prices. 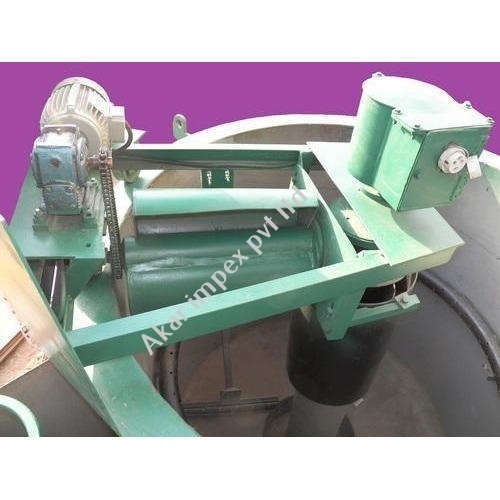 With our expertize in this domain, we are also engaged in manufacturing and supplying Sludge Filter Press. 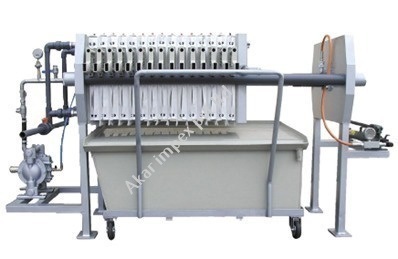 These products are equipped with a series of plates, frames and filter pump for feeding the moist sludge with solids & liquids through feed nozzle of the filter press to the chamber formed between the plates and the medium, leaving the solid trapped inside and the liquid drained out. All these products are suitable for demoisturizing applications, including both manually as well hydraulically operated filter press. Our high quality floating aerators feature high speed rotation of the impeller to draw water. These floating aerators are equipped with heavy duty TEFC squirrel cage motors with IP-55 protection. Sturdy design enables the machine to withstand adverse weather condition, allowing for 24 hours of operation. Floats are fabricated with FRP and are filled with polyurethane foam for securing the aerators against accidental mishaps. We are recognized as one of the prominent organizations of a wide gamut of Air Floatation Systems. These systems are widely used for cleaning water with high levels of algae and other low-density solids that cannot be removed with sedimentation. Offered systems are highly effective as they remove oil, grease and suspended particles more than 95 percent and in some cases efficiency is almost 99.9% for O&G and SS removal. Our offered systems are manufactured by our skilled professionals using high grade factor input and the latest technology in compliance with the international quality standards. In addition to this, our provided systems undergo various tests under the supervision of quality controllers to ensure its flawlessness. Clients can avail these systems from us in customized options and at market leading rates. Akar manufactures a number of equipment and systems in the field of Wastewater Treatment Plants, one of the most complex of these is Dissolved Air Floatation System (DAF). This equipment helps reduce substantially the most difficult suspended impurities as well as to separate high quantities of highly emulsified oil from water. It is very useful for process in refineries, oil companies, vegetable oil industries, meat processing and many other industries and applications. 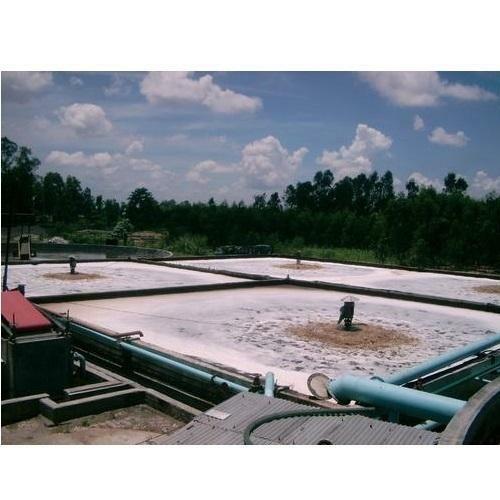 Akar Dissolved air flotation (ADAF) is a water treatment process that clarifies wastewaters (or other waters) by the removal of suspended matter such as oil or solids. The removal is achieved by dissolving air in the water or wastewater under pressure and then releasing the air at atmospheric pressure in a flotation tank or basin. The released air forms tiny bubbles which adhere to the suspended matter causing the suspended matter to float to the surface of the water where it may then be removed by a skimming device. 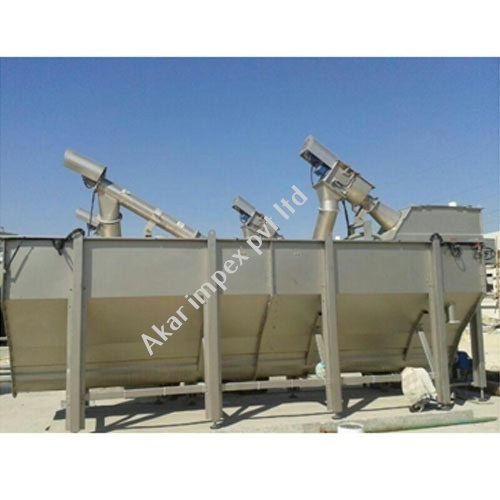 Akar Dissolved Air Floatation System (ADAF) is very widely used in treating the industrial wastewater effluents from oil refineries, petrochemical and chemical plants, natural gas processing plants, paper mills, general water treatment and similar industrial facilities. We hold expertise in offering a superior quality range of Dissolved Air Floatation Systems. 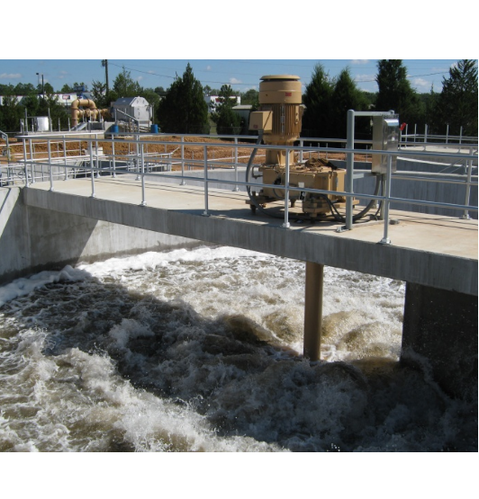 These systems are widely used for cleaning water with high levels of algae and other low-density solids that cannot be removed with sedimentation. Offered systems are highly effective as they remove oil, grease and suspended particles more than 95 percent and in some cases efficiency is almost 99.9% for O&G and SS removal. All these waste-water treatment systems are highly effective, durable, dimensionally accurate and sturdy. Customers can also avail all these systems in custom-built range and at feasible market prices. With firm commitment to quality, we are manufacturing and supplying a comprehensive range of Mechanical Scraper Systems. In order to remove solid particles from processed water and reducing the velocity of water, these filters are highly effective and economical. The offered system also provides maximum setting time causing efficient separation of settled particles from water. The particles collected after clarification gradually travels down the slope and allows the clean water to flow over it. These systems are highly appreciated and demanded by the clients owing to their features like excellent performance, durability, sturdiness and low maintenance. 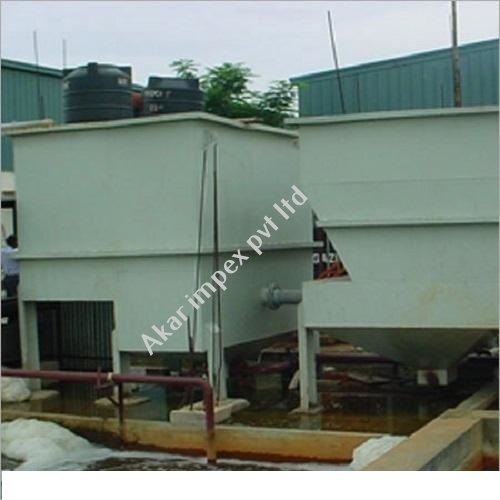 With our expertise in this domain, we are able to offer a superior quality range of Wastewater Trickling Filters. These filters are widely used by the customers for an effective and economic treatment of both domestic and industrial waste water. All these filters are equipped with rotatory distributor devices for treatment on remote sites. To discharge the filter into the main collection residue an under drain system is used which includes of a network channel. These filters can also be used for biological treatment in complex water treatment facilities. All our valuable customers can avail these filters by paying through easy modes of payment. Looking for “Wastewater Treatment Plant Equipment”?